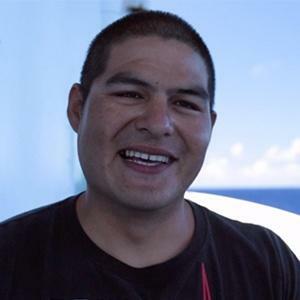 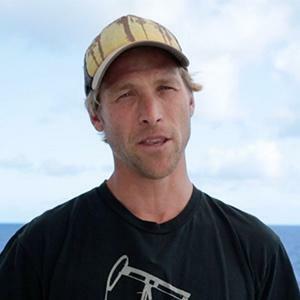 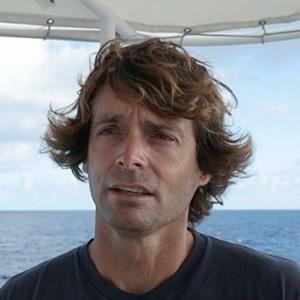 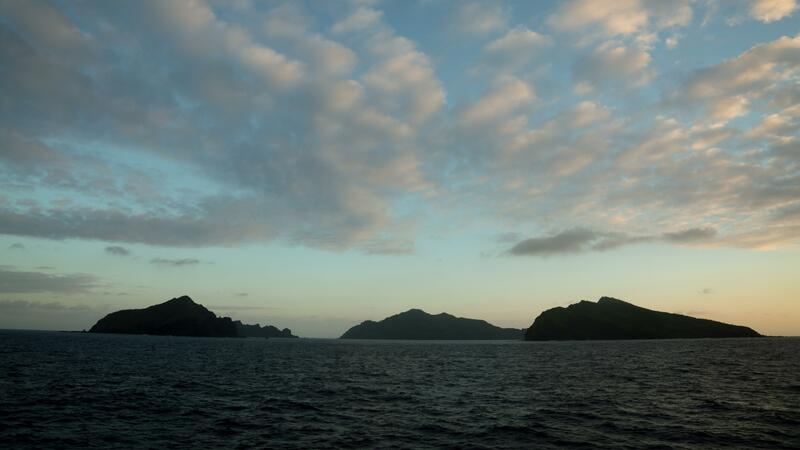 In the remote Pacific, the islands of Maug rise out of the sea. 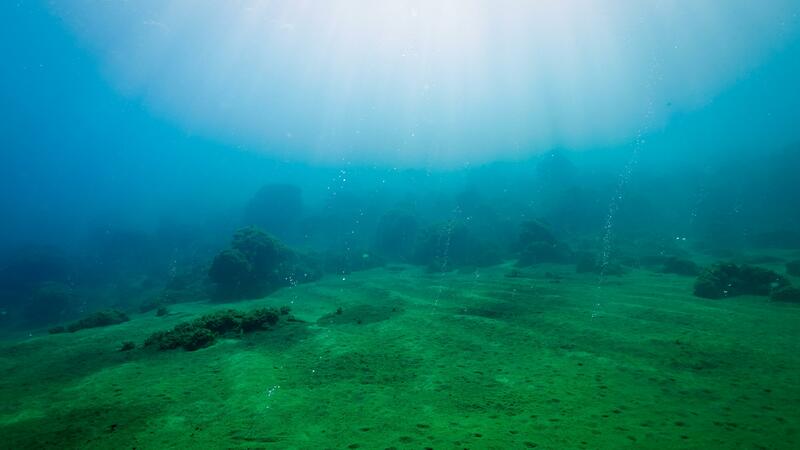 Formed by an ancient volcano, shallow hydrothermal vents are found close to coral reefs inside the submerged caldera. 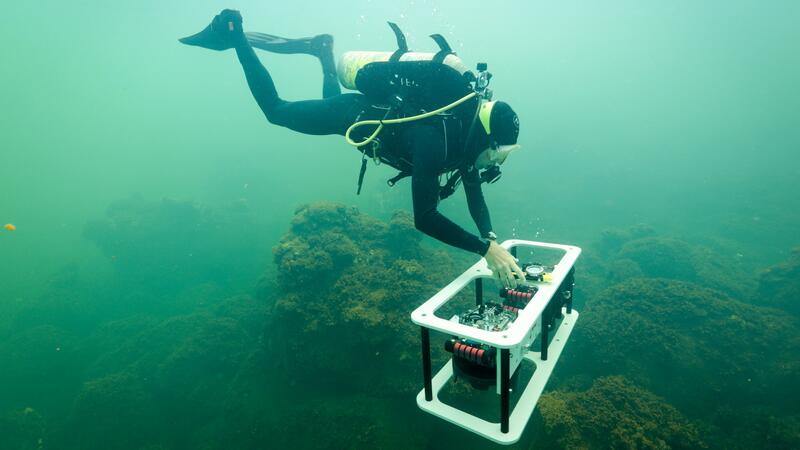 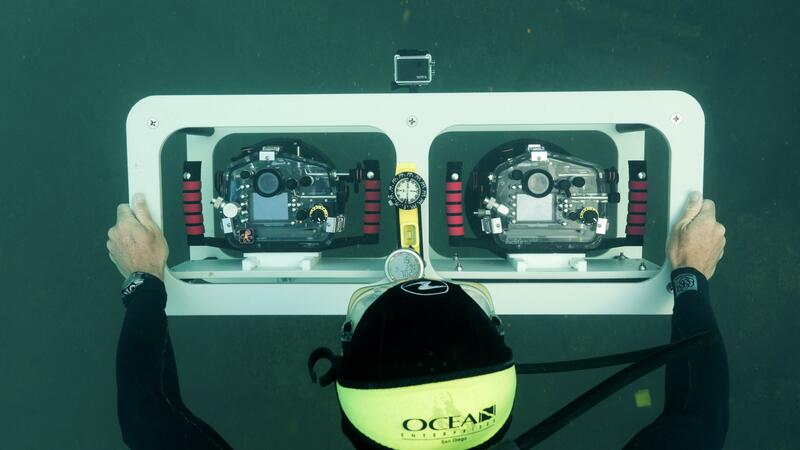 These vents emit levels of CO2 that can be expected in the world’s oceans by the end of the century, making these waters a natural laboratory for scientists studying the impacts of ocean acidification on coral reefs. 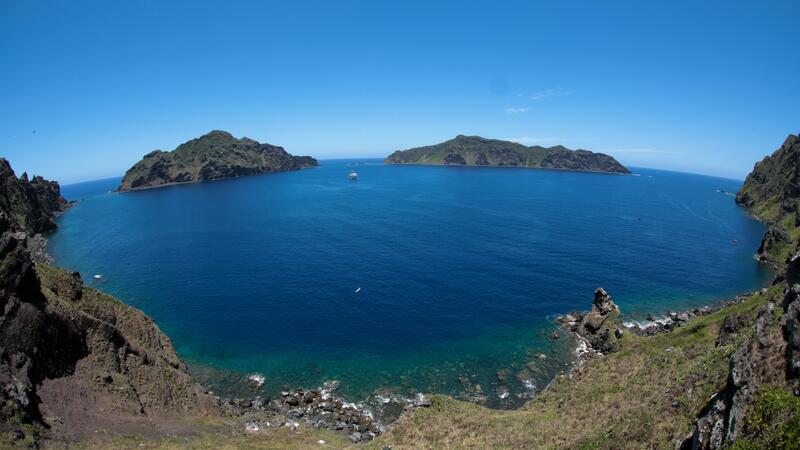 The three islands of Maug, a remote caldera at the northern end of the Northern Marianas archipelago in the Pacific. 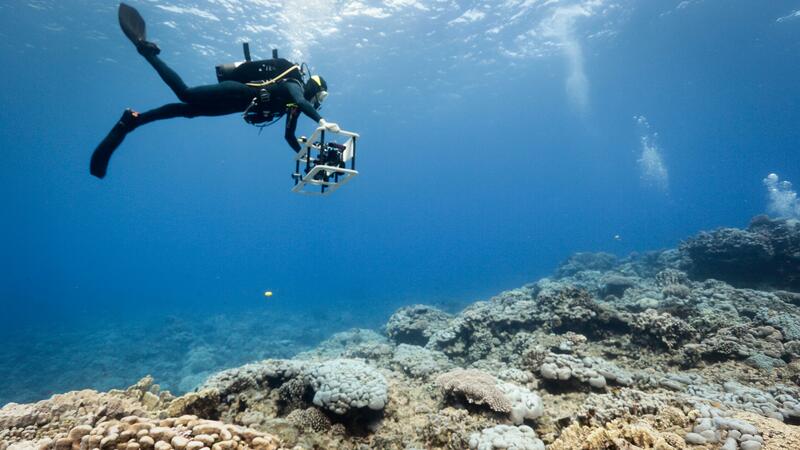 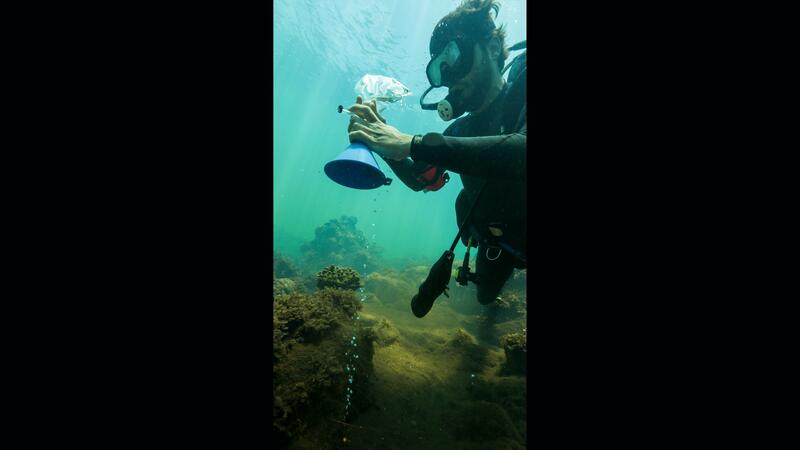 Diver John Iguel from local research partner CNMI Bureau of Environmental & Coastal Quality sets up a device to measure coral fluorometry activity near a hydrothermal vent. 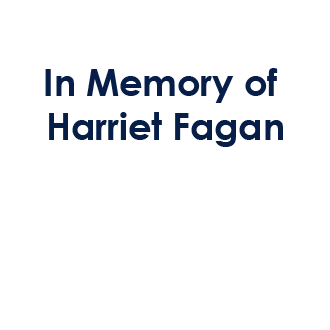 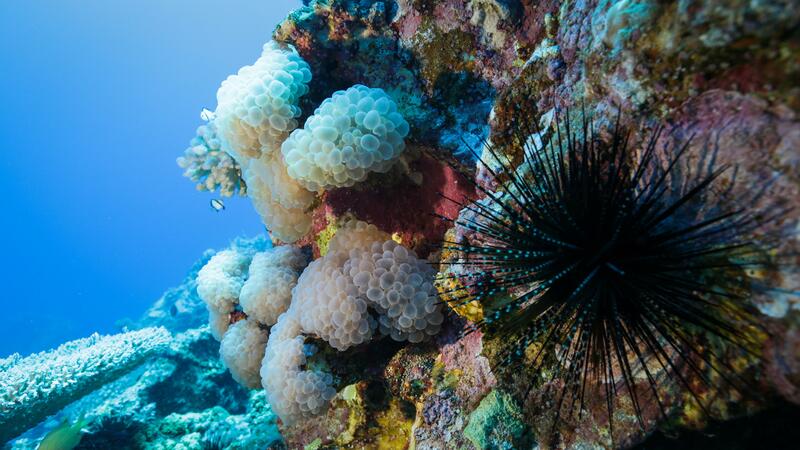 One of the most exciting and unusual things about Maug is its hydrothermal vent system in very shallow water next to healthy coral reefs. 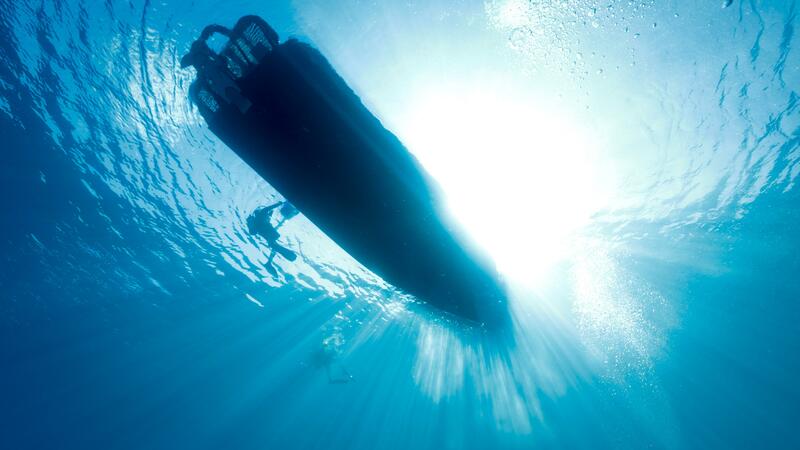 A research diver enters the clear waters of Maug from a RHIB (rigid hull inflatable boat) launched off the larger NOAA ship. 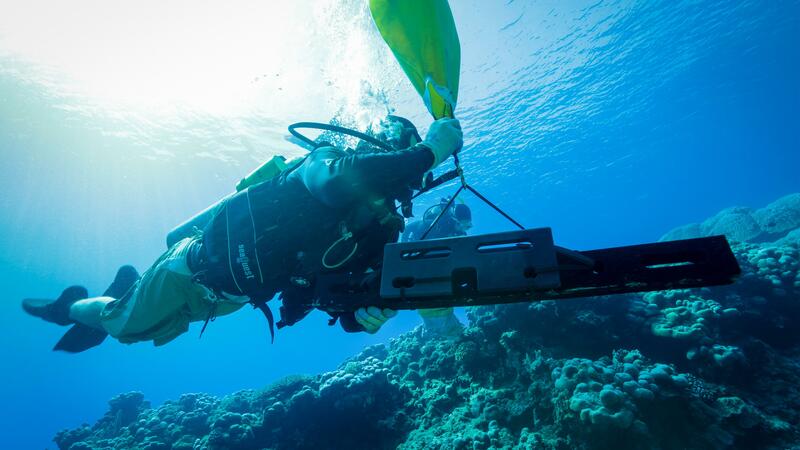 Expedition chief scientist and research diver Chip Young swims with an oceanographic instrument suspended by a lift bag. 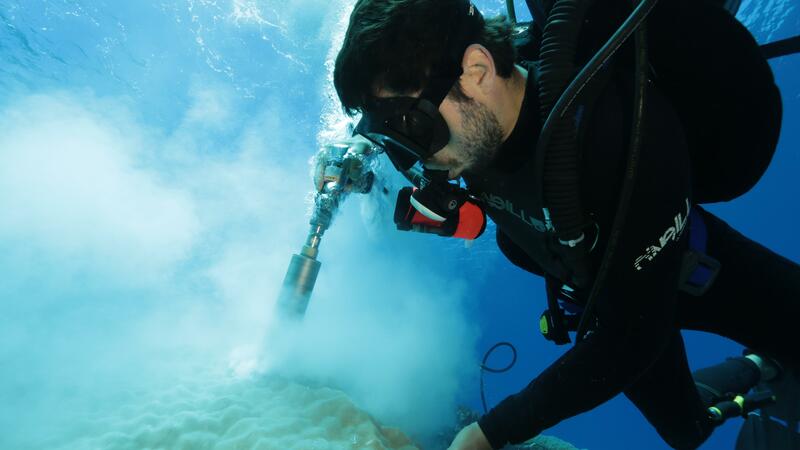 Researcher Ian Enochs operates a pneumatic (air-powered) underwater drill to extract a core from a large coral colony in the clearer waters of the area outside the vent site. 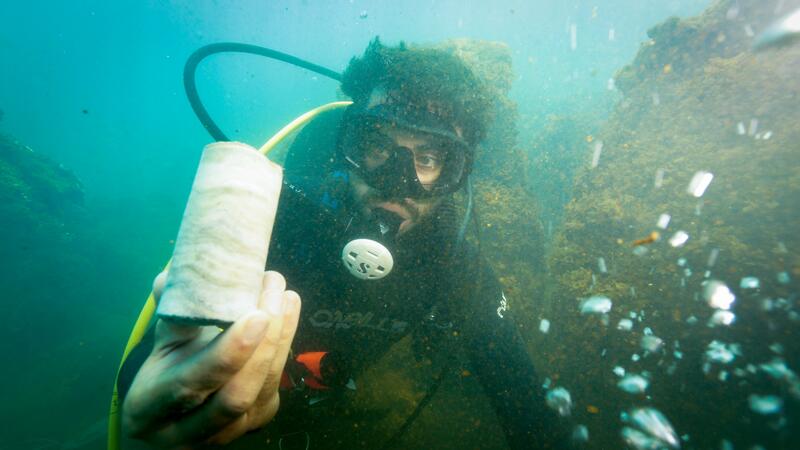 A coral core extracted from a large colony at the vent site at Maug, held by researcher Ian Enochs. 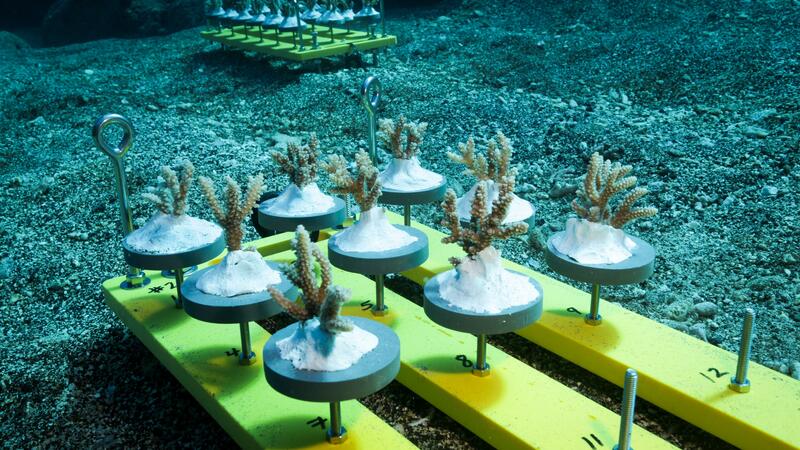 Trays of coral transplants were used in an experiment to compare coral health at sites along a gradient of increasing acidity. 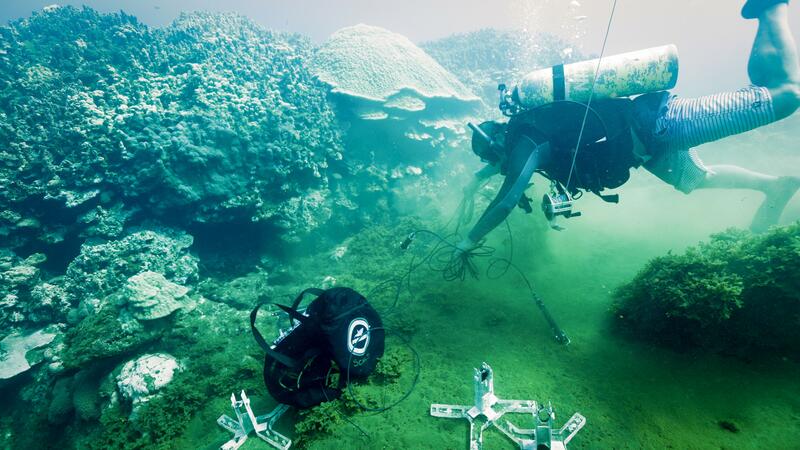 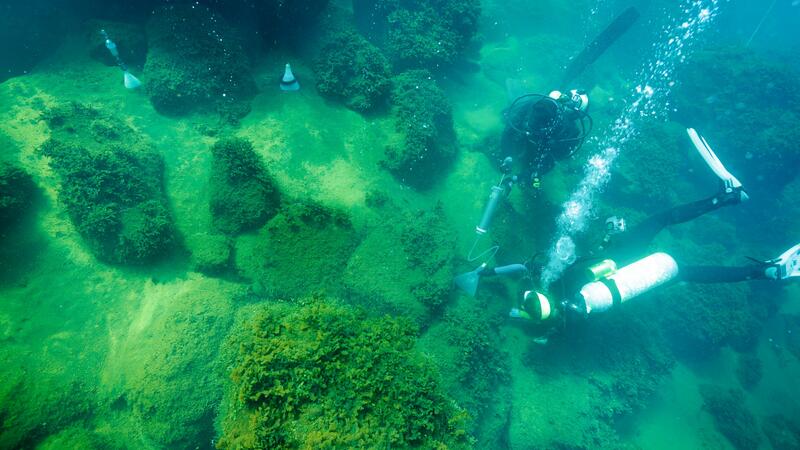 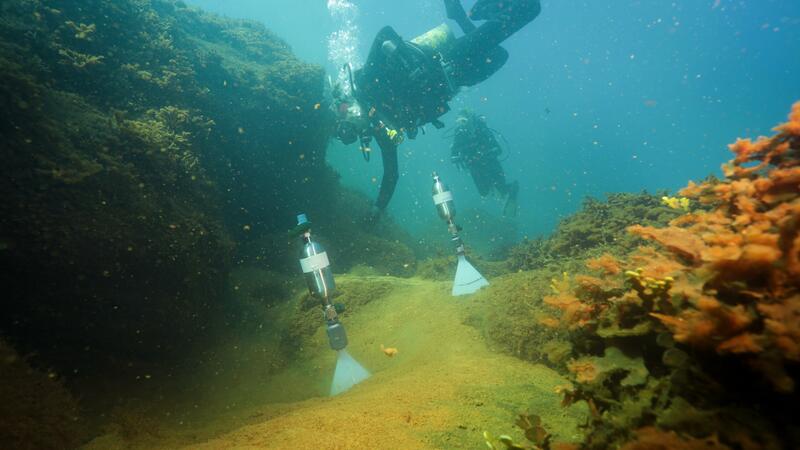 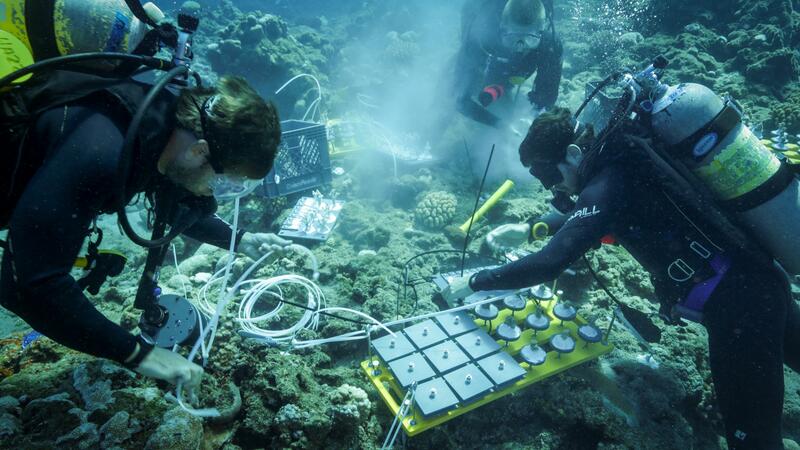 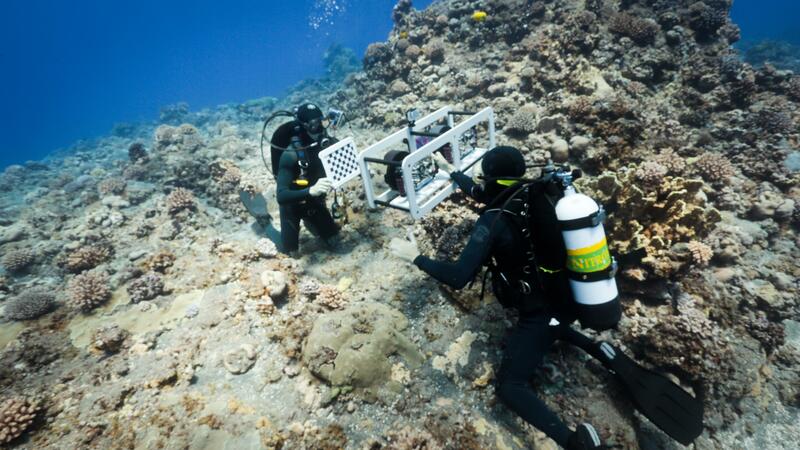 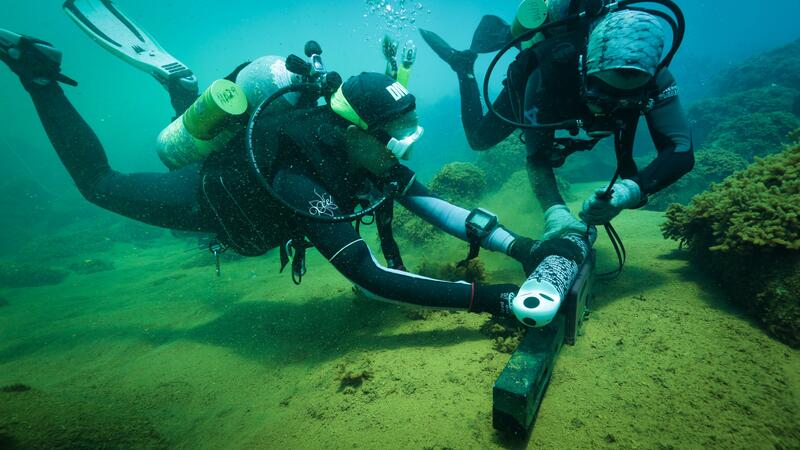 A team of research divers installs coral transplants at the control site where vent fluids and gases should be diluted enough to not have a noticeable impact. 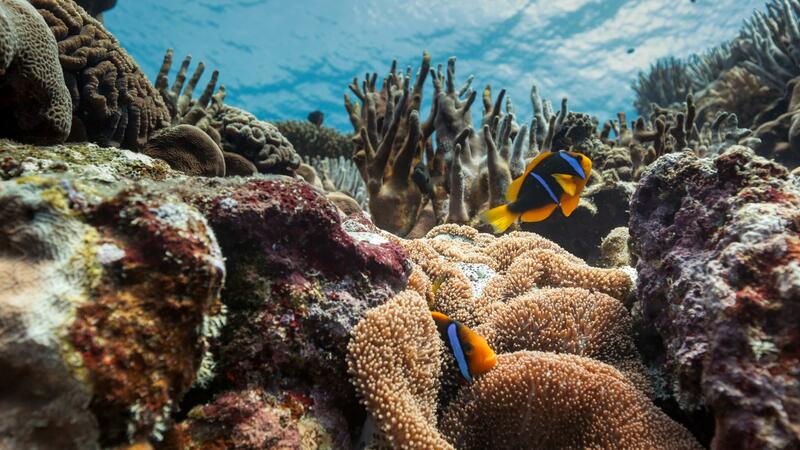 Clownfish in an anemone on the reef at Maug. 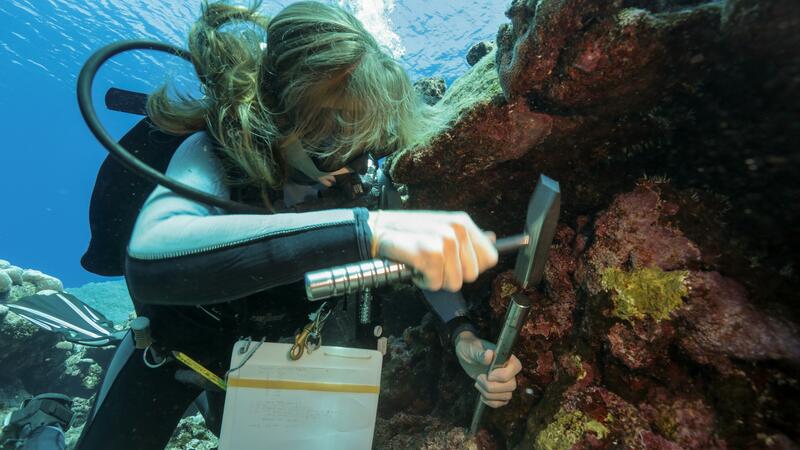 Scientist Emily Donham chisels off a small piece of coralline red algae, another key component (along with coral) for reef building. 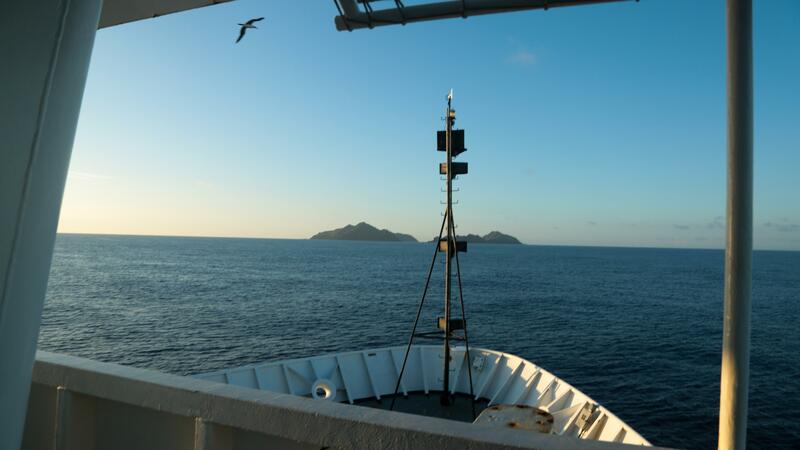 The three islands of Maug are visible off the bow of the NOAA Ship Hi’ialakai as the ship approaches the caldera. 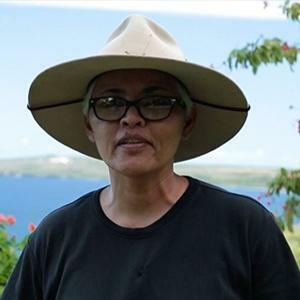 After obtaining special permission from the CNMI government, filmmaker Stephani Gordon scaled the ridge of the west island for a shot of the caldera from the ridgeline. 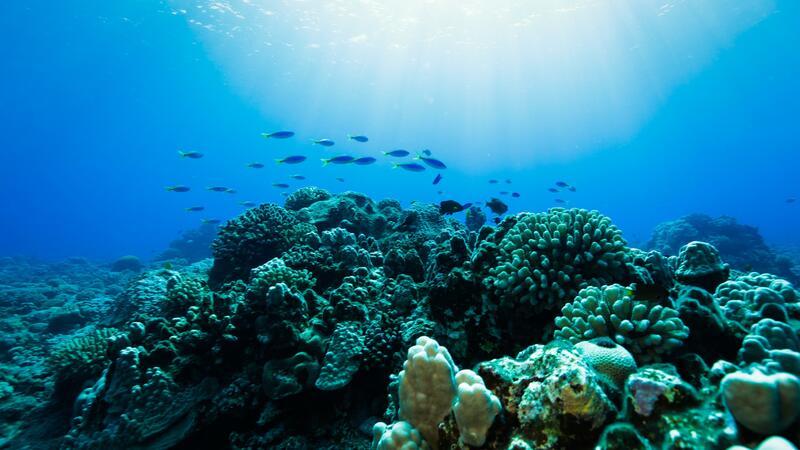 A school of fusiliers swims over the forereef habitat at Maug. 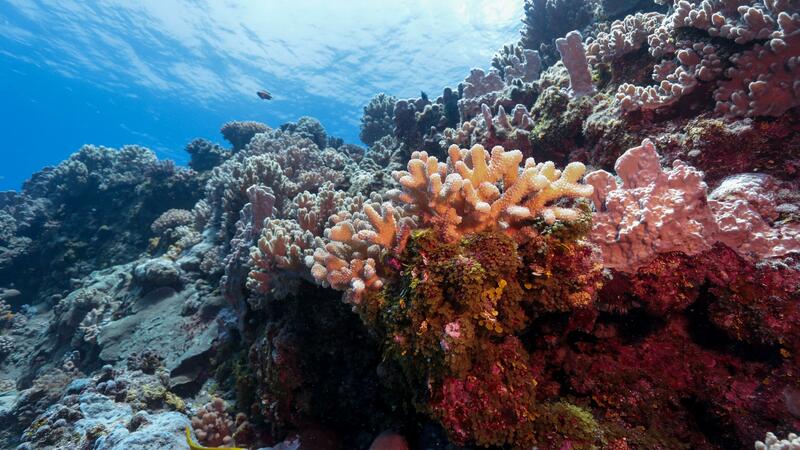 A mix of hard coral, soft coral, calcareous green algae, and coralline red algae all contribute to the reef structure of healthy, robust reef habitat at Maug. 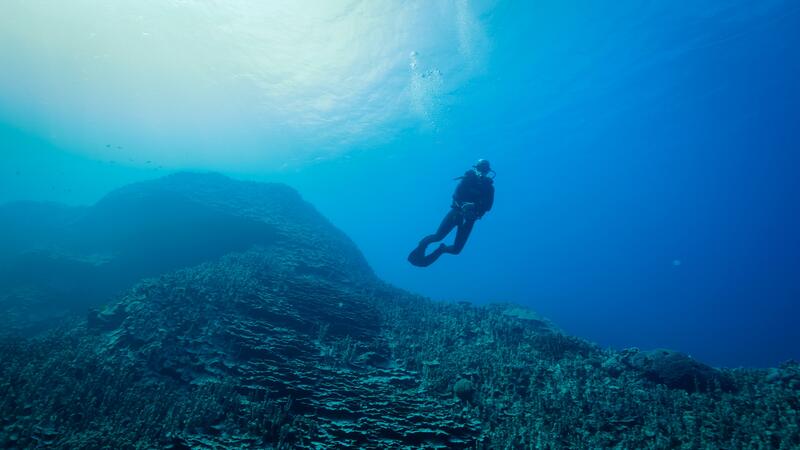 This is 35m deep on the pinnacle thatrises up in the center of the caldera, with bubble coral, a long-spined sea urchin, and Dascyllus damselfish in the background. 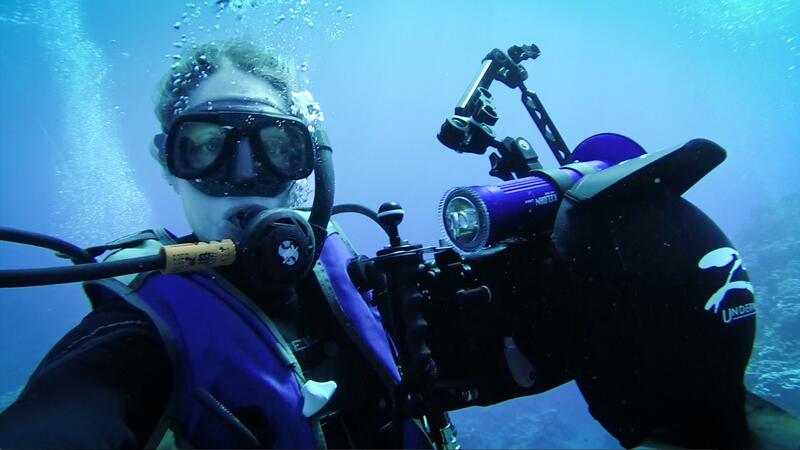 Stephani Gordon with her underwater camera kit at Maug. 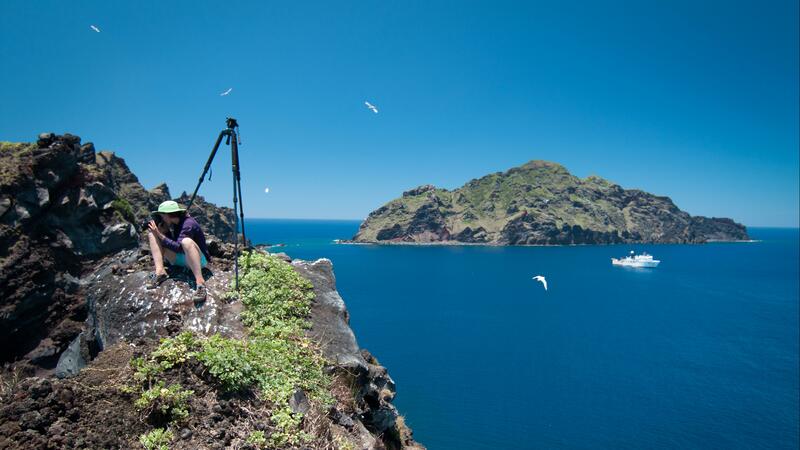 Behind-the-scenes. 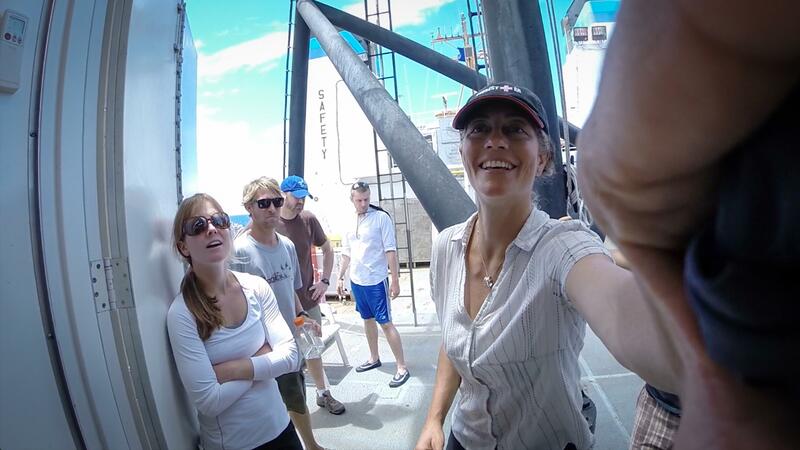 Cinematographer Stephani Gordon passes a GoPro camera into the diver recompression chamber during a dive safety drill on the NOAA Ship Hi’ialakai.